The Orchid and the Crow is a wonderful musical comedy with the finest storytelling. Daniel grew up in a Jewish-atheist household. In 2004, he found out he had stage-four testicular cancer and went searching for God... Any God. Enter Lance Armstrong. Reflecting on Daniel’s real life (and almost death) experiences, The Orchid and the Crow is a solo performance that features original songs from the award-winning writers of Otto & Astrid (Die Roten Punkte) – the lipstick-smeared, tantrum-loving, sonic collision that has gone down a storm at various Edinburgh and international Festivals. 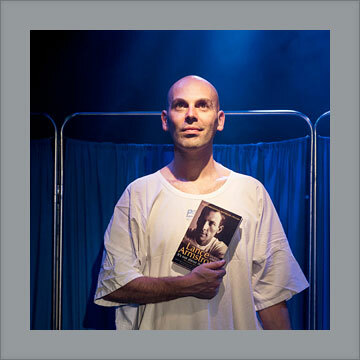 Crafted with lyrically-driven musical numbers and heartfelt storytelling, this astonishing one-man show charts Daniel Tobias' life – and his brush with death. The Orchid and the Crow is a must-see. Well written and delivered with panache. The story is honest, moving, and generous. You will go a long way to find a show that has as much to offer – go see it! Daniel Tobias has condensed his entire life into a smart and scintillating 75 minute variety show – the Orchid and the Crow is wise, generous, and blackly funny. If we gave stars – this would have a fistful. 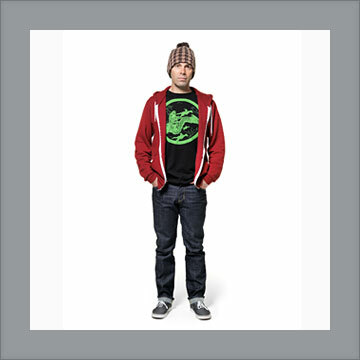 Tobias is an intelligent, dynamic and honest performer who is highly entertaining to watch. This show will renew your faith in love, life, and possibly even Lance Armstrong. This an absolute must-see comedy simply by virtue of tackling religion and cancer without relying on cheap jokes or tastelessness. a fantastic, dramatic, hilarious show. See it. Captures the art of good storytelling. The Orchid and the Crow is a wonderful show ... a truly wonderful and fulfilling evening of theatre.